How are you? It’s been a week since I’ve posted my last post. School and college have started how is it going? Please do vote which brands would you like me to review and as soon as I have enough votes I will do the review (click here). 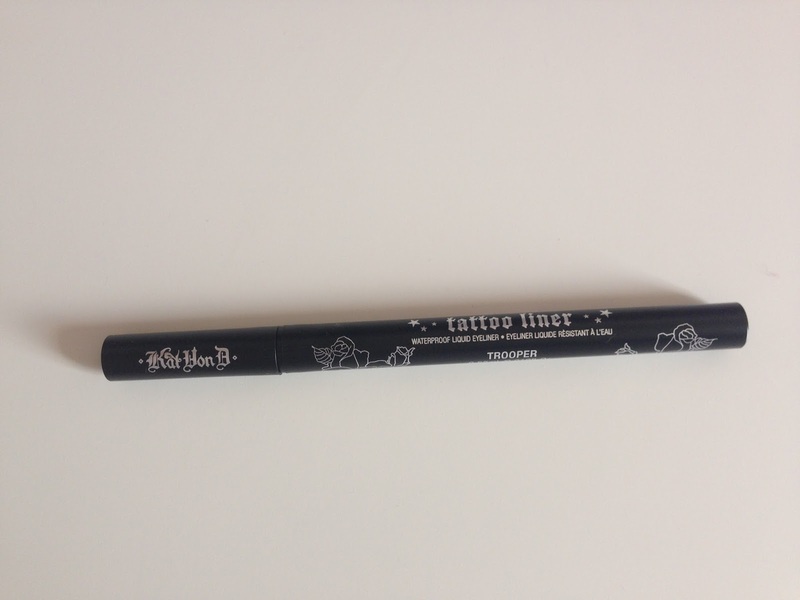 I’ve seen so many reviews on the Kat Von D Tattoo Liner in Trooper. The packaging is gorgeous, it’s all black with silver writing on it. It has roses all over it. Also when you close the lid it makes a click sound so you know it's closed properly. When I first used the eyeliner I loved it. It was amazing, stayed on all day and it even stayed when I got water on my face. However, the next time I used it, the eyeliner kept coming off. It wasn't waterproof what so ever. If you've been following me since the first day then you know I have water eyes and they water like crazy. The eyeliner rubbed off for some reason. When I swatched the eyeliner on my hand I did the 'waterproof test' which is when you put your hand under a tap and rub the product. When I did that the eyeliner rubbed off. I'm quite disappointed with the eyeliner. I thought it would be AMAZING like their liquid lipsticks but I guess not. One thing I do like is the brush to it, I thought it was plastic like the other felt tip pens but it's not. It actually is amazing. 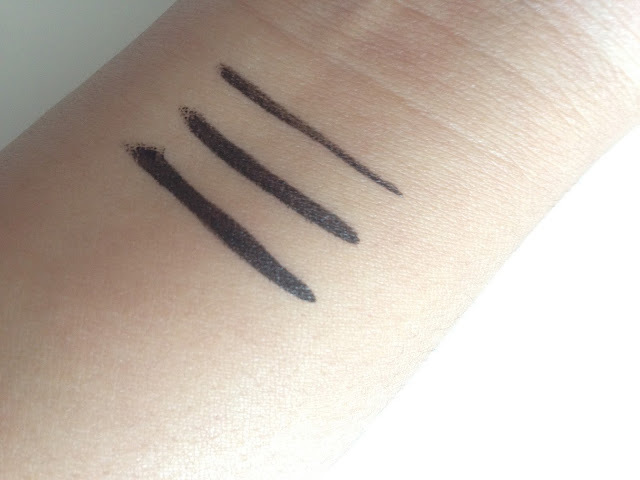 Here's swatches of the liner. Overall, the felt tip itself is amazing but the formula behind it is not. 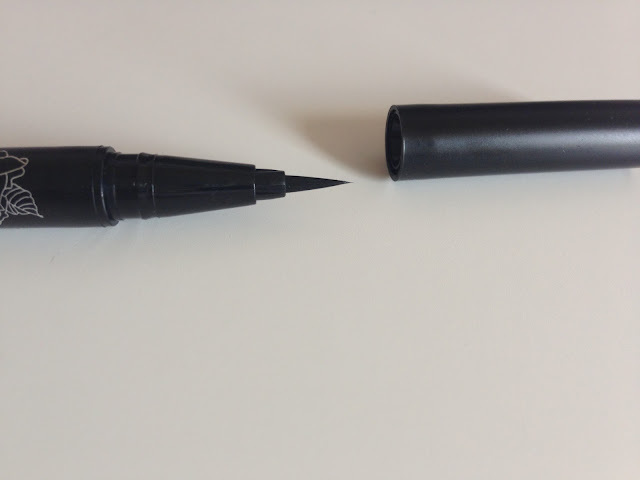 I like the pen and after I finish using it I will keep it and use it as a liner brush. I'm going to try it again and see how it works but I'll keep you updated through Instagram. Do I think it's worth it? for the moment, No I do not.